New Delhi: Two separate cases being fought by the Mukesh Ambani-run Reliance Industries Ltd that have a bearing on the company’s ability to start selling gas from its field in the Krishna-Godavari (KG) basin off India’s east coast are echoing in India’s corridors of power with two key ministries taking opposing sides. One of the cases RIL is fighting is with India’s largest power generating firm, the state-owned NTPC Ltd, and the company and the ministry which oversees it, the ministry of power, have said they will oppose a move by the oil ministry to have vacated a court order staying RIL from selling gas from the KG basin to buyers other than NTPC and Reliance Natural Resources Ltd, or RNRL. RNRL, run by Mukesh Ambani’s estranged younger brother, is the other company with which RIL is fighting a case. “The injunction cannot be removed. How can that be done? How can NTPC’s fundamental rights be revoked? We are concerned with our 12mscmd (million standard cubic metres of gas per day)," said R.S. Sharma, chairman and managing director of NTPC. “We will not allow this to happen. We will not deviate a single fraction from our earlier stand,"
Power secretary Anil Razdan said: “NTPC has its own litigation which is ongoing. When this issue comes (up), NTPC will put forth its case and defend its rights." RIL wants to supply 40mscmd from its fields to firms other than NTPC and RNRL. “Efforts are on to get the injunction vacated. If the injunction is not lifted, gas production can’t take place. If production can’t take place, gas can’t be utilized," oil secretary R.S. Pandey had earlier said. The Bombay high court on Tuesday adjourned the hearing on the dispute between RIL and RNRL. The division bench of justices J.N Patel and K.K. Tated will continue to hear the case. Both the lawsuits are now scheduled for hearing on 6 October. NTPC’s dispute with RIL is over the supply of 12mscmd to it for 17 years at $2.34 a million British thermal unit, or mBtu. NTPC, whose lawsuit dates back to December 2005, has claimed it has a “concluded" contract with RIL. The gas was meant for two NTPC plants in Gujarat. On Tuesday, Samajwadi Party leader Amar Singh, known to be close to Anil Ambani, asked a group of ministers to finalize the price at which RIL would supply gas to NTPC. Singh, whose party is now an ally of the ruling United Progressive Alliance, is a member of the committee on public undertakings, and said that the price of $2.34 a Btu wasn’t the “point of dispute" between NTPC and RIL. The power ministry had earlier blamed the oil ministry for weakening NTPC’s case when government lawyer T.S. 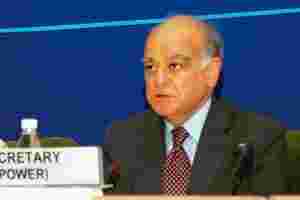 Doabia said on 21 August that NTPC had no “concluded" deal with RIL. He made the statement during the hearing of the RIL-RNRL lawsuit. RNRL’s litigation with RIL dates back to November 2006 and the former has claimed it has rights, courtesy an agreement signed when the Reliance group’s assets were split between Mukesh and Anil Ambani, to 28mscmd of gas from the latter’s KG basin fields and an additional 12mscmd if RIL’s agreement with NTPC breaks down, both at the same price at which RIL had agreed to supply gas to the state-owned power generator, $2.34 per mBtu. An RIL spokesperson declined comment on the developments in New Delhi and a Reliance-Anil Dhirubhai Ambani Group spokesperson didn’t respond to emailed questions. Bhuma Shrivastava in Mumbai and PTI contributed to this story.